Don't get distracted - pay off those student loans! 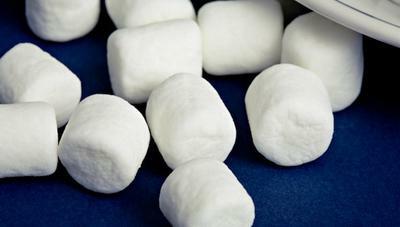 There's an old experiment done with young children who were told that they could get to eat marshmallows if they waited patiently for them. The longer they waited, the more marshmallows they would get to eat. The problem was, most children were very impatient about waiting, and could barely resist for more than a few minutes. When researchers asked the children who were able to hold out for longer, up to 15 minutes, the children replied that they did their best to think of something else and take their eyes off the plate of delicious looking marshmallows. This metaphor is easily applicable to many situations of life, not least of which to the college graduate. The college graduate has put in a great deal of effort over the course of 4 years in order to get some shiny prize. Graduation equals victory! The diploma and the two letters (B.A./B.S.) equal achievement deserving of reward! Many graduates feel the urge to splurge in several ways after graduation, not only in the immediate time frame but long after. In my experience, graduates tend to feel that having completed their degree they should be launched into a status of adulthood which may include a quality of life beyond their means. Adults should have nice things, a fancier apartment or condo, or perhaps an upgrade to their car. However, these upgrades may occur before their salaries are at a level which can support these added expenses and still be able to pay back college loans at a high level. My personal approach was to buy a used car that was inexpensive but still in good condition long term, stay with my roommate and split rent, and pay down my college debt with almost all of my leftover money. I tried not to think about what other friends were doing - their vacations and cruises and new cars which required monthly payments. After 2 years, I felt as though I had doubled my salary at work because I was debt free! Ignore the marshmallows in the room. They'll be waiting for you long after you bring your mounting interest and debt to a halt! It's worth the wait! Thank you Megan for a refreshing metaphor Don't get distracted by marshmallows.... When your loans are paid off, its time to enjoy those S'mores. Best of luck to you. I went to school to be a teacher, and now that I am finally into the process of paying back my $50,000 in student loans that will take me a whole year of salary and then some. This doesn’t include all the other bills that I have on my plate. Which I know a lot of you can relate, too. However, I have learned that I earned my degree and no one can take it away from me. Furthermore, I have learned to call the direct loan department of education and ask for all the options available. This is helpful so you don't get stuck with the 10 year standard plan right off the bat. I chose to file the proper paper work to qualify for the Income Contingent Repayment which was based on your income. And for the 1st year of repayment you can send whatever you can afford. This is helpful when you are still in search for a job. But keep in mind that interest capitalizes. I have learned now that I am out of school that scholarships are out there for students who are undergraduates. You just have to do your research. Several of my friends took out personal loans from their bank or private loans are not your best bet. You have to pay them back the minute you graduate and they are at higher rates than the government issued ones. Try to stick to the unsubsidized loans when getting loans from the government. You might have to get 2 jobs and live at home for a little a bit, but if that's what gets you to pay off those loans, you do what you got to do. I have started a piggy bank and put all my lose change in and I have decided to cash it in when it is full and use it for one of my loan payments. I wasn't fortunate to have parents to pay for my school, but they were than happy to see me achieve my goals. I can at least say when that day comes to give my last payment that I paid for my school and that's the one thing I will be most proud of. Thanks Adriana for sharing your story. You are right - They Can't Take Away Your Degree! Pay those loans back as soon as you can! Starting college in debt can be a worry in itself for many students in their first year of college. I was one of those students. The only way for me to attend college was taking out a student loan . I was a non-traditional student who was married, had a child, and worked full-time. There was no option for me other than to borrow money. I found myself borrowing more than what I needed because I thought "I won't have to pay this back until 6 months after I graduate." I used the extra cash to pay bills or buy things for the family. It was a foolish thing borrowing money I did not need. It was so easy. Also, once I graduated the payments started 6 months later. I was making more money but like most people you begin to spend more. I now had one more payment I did not need. And of course, the companies you borrowed money from allowed you to take a deference on your loan. Which in essence sounded great but my interest accumulated while I was not paying my loan. This only increased the amount of money I had to pay back as well as the number of years it took me to pay the loan off. Today, as a high school counselor, I teach my students, from my mistakes, to not borrow money if it is at all feasible. I share with them my mistakes as well as a few other stories I have heard regarding student loans such as, one girl who took out a student loan to get a breast augmentation. I encourage them to begin searching for scholarships their junior year and senior year and apply for every one they qualify. I "preach" to them the more money they receive from scholarships and federal grants the more money they will have to attend college and not be worried about having to borrow money. I want borrowing money for college to be their very last resort! If they must borrow money, I share with them the importance of borrowing frugally and wisely. I hold a financial aid night for parents and students and discuss the scholarship process as well as the danger of student loans, credit cards, and paying it all back. Read more tips on Taking Out a Student Loan from other students and parents who have been through the student loan process. Thank you Tracey for sharing your experience and the dangers of student loans. Taking out a student loan is a big step and it is too bad that many companies take advantage of students. It’s great to hear that you are warning students about the danger of student loans. Be sure to let them know about our Scholarships for High School Juniors and Scholarships for High School Seniors so they don’t need as much loan money! Best of luck to you.